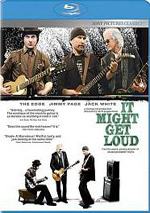 It Might Get Loud is a slick documentary about three seminal guitarists from successive generations of rock royalty: Led Zeppelin's Jimmy Page, U2's the Edge, and the White Stripes/Raconteurs/Dead Weather's Jack White. 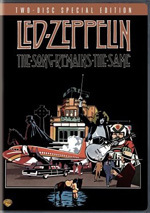 The film follows the guitarists individually, in evocative settings like Headley Grange, the studio where "Stairway to Heaven" was written, and the Dublin high school where U2 first played together as teenagers. The three subjects sidestep music-biz gossip and open up about their influences, their approach to songcraft, and their aesthetic goals. Music lovers - guitar fanatics in particular - will thrill to some behind-the-scenes tech-talk as the artists explain how they get their respective sounds. These fascinating individual interviews are intercut with impressionistic bits, animation, cool titles, mesmerizing vintage footage of the guitarists and their blues-singer heroes, and a round-robin jam featuring all three guitarists learning and playing each other's tunes. The live-music segments are at times awkward, as the men eye each other warily and shyly, seemingly unsure of how to interact. But when the music works - as it does on the trio's impromptu "Whole Lotta Love" - sparks fly and genuine smiles break out all over. Fortunately, these inspired moments outshine the clumsy onstage socializing, and viewers are left with the impression that these three very different masters have more in common than previously suspected. $92.679 thousand on 7 screens. Three generations of guitar heroes come together in 2009’s It Might Get Loud. The documentary focuses on Led Zeppelin’s Jimmy Page, U2’s The Edge and the White Stripes’ Jack White. The main attraction comes from a January 2008 meeting among the three, as they get together, discuss their craft and play. Loud also guitarists as they work alone. 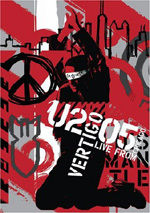 They create new music, appear at concerts, and reflect on their careers. 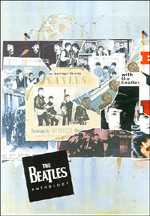 This gives us a broad look at their music, influences and beliefs. Overall, I think Loud offers an interesting experience, but it comes with one major flaw: its main gimmick doesn’t work. Actually, that’s not true. Its calling card – the “Guitar Summit” – proves stimulating when we visit it, but far too little of the movie focuses on it. Going in, I think the viewer has a right to assume that we’ll spend a substantial portion of Loud with all three guitarists together, but that’s not remotely true. I didn’t add up the length of the various snippets, but I’d be surprised if more than 10 minutes of Loud features shots of the summit. And that’s just not enough given the nature of the film. Why bring the three musicians together if you don’t plan to show us much of that meeting? Perhaps the results were anti-climactic - I suppose I’ll have a better idea of any lost gold when I visit the disc’s deleted scenes – but it still comes as a major disappointment that the filmmakers gathered the three men and let us see so little of them in that setting. At least the rest of Loud works pretty well. With a movie like this, it seems somewhat inevitable that the viewer’s musical preferences will impact what segments they like the best. For me, I find U2 to be vastly more interesting/enjoyable than the other two bands. Led Zep comes next, and then White Stripes. I’ve never actually listened to a White Stripes album, though I admit Loud piqued my curiosity to give them a shot, even though White comes across as a bit of a jerk here. Maybe “jerk” isn’t quite the same word, but he presents a smug arrogance that I don’t much like. He seems awfully full of himself as he makes proclamations about “real music” and whatnot; he’s so dismissive of so much that he comes across as a bit of a curmudgeon. As White goes on and on about his musical theories, he often seems less interested in making good music and more concerned with creating a challenge for himself and being “real”. Truth be told, I actually agree with White on a lot of these subjects, but the manner in which he presents his ideas becomes grating. While much of the film tells us about the guitarists’ paths to music, it becomes more difficult to gauge the reality of White’s comments. He likes to create his own mythology, so it’s always difficult to know how much of what he says is real or self-invented; after all, this is the guy who claimed wife Meg was his sister. White does provide interesting notes about his early days, but I can’t help but wonder how much of this info is actually true. As I alluded earlier, it was probably inevitable that I’d take the most from the Edge segments simply due to my extremely high regard for U2. They’re a top five band for me, while Led Zep probably doesn’t even make my top 30. I also think Edge is the most engaging of the three personalities here. I’ve already noted that White’s arrogance makes him a little tough to take, and Page simply isn’t a terrific speaker; he throws out some good notes, but he comes across as too shy and introverted to really engage us in his tales. On the other hand, Edge presents a warm, likable personality. He seems forthcoming and boasts a wry sense of humor that emerges through the show. Edge throws out a few musical ideas that resemble White’s, but he doesn’t come across as arrogant when he does so. Actually, the film sets up a White vs. Edge dynamic that it never explores. Early in the flick, Edge talks about how much technology frees him, and then White mentions how much he hates the use of technological gimmicks. Heck, the movie starts with the sight of White as he builds a rudimentary guitar with a Coke bottle! It’s too bad we don’t hear Edge and White discuss the topic, as they clearly approach it from opposite sides. Some of the best aspects of Loud come from the archival footage. I saw U2 clips that I didn’t know existed, and it’s a blast to check out a very young Page in various incarnations. Even the early White stuff – which didn’t happen all that long ago, in reality – is pretty interesting. When Loud works best, it actually feels a lot like an entry in the Classic Album documentaries. That’s a wonderful series in which musicians dissect their recordings and give us insights into their creations. Many of the best segments here dig into those components, such as when we see Edge work on the riff for “Get On Your Boots” or when he plays us the original four-tracks for “Where the Streets Have No Name”. I think It Might Get Loud offers a quality program, and I like the focus on guitarists. Much of the same information would appear in documentaries about the various bands involved, but the way the film concentrates solely on the guitarists gives it a certain purity that we don’t normally find. Because it largely squanders its main attraction, it satisfies less well than I’d like, but it still works as a whole. It Might Get Loud appears in an aspect ratio of approximately 1.78:1 on this Blu-ray Disc. Most documentaries provide erratic visuals, but even within those expectations, Loud seemed awfully spotty. Sharpness was one of those up and down components. In general, definition appeared decent but not much better than that. The material shot for Loud tended to be acceptably clear and that was about it. These shots were never soft, but they lacked great definition. I noticed no issues with jagged edges or shimmering, and edge enhancement was absent. Unfortunately, source flaws were a consistent distraction – and not just from the many archival clips. I didn’t hold messy old snippets against the film, but I was less pleased by all the specks and marks that accompanied material shot for Loud. No, the movie didn’t suffer from tons of defects, but little spots popped up throughout the flick, and I couldn’t excuse those; there’s no reason a movie made in 2008 should suffer from so many flaws. Colors were fine. Loud went with a natural, somewhat subdued palette that never stood out as terribly dynamic. Nonetheless, the hues were acceptable, as they showed decent clarity. Blacks were reasonably dark and dense, while shadows demonstrated reasonable clarity. Nothing here stood out as particularly impressive, so this was a “C” presentation. While not dazzling, the DTS-HD MA 5.1 soundtrack of Loud was fine given the film’s scope. As one might expect, music domainated the track. Various songs spread across the front speakers in a satisfying way, and the surround channels added good reinforcement as well as some unique information. Non-musical elements had less to do. Speech remained focused in the front center, while effects only sporadically appeared at all, much less around the soundfield. And that was perfectly appropriate for this movie; it’s about music, so that side of things should dominate. Audio quality was positive. Music varied due to the mix of source elements; some sounded fine, while others were pretty awful. Getting past flawed archival material, the music came across well, especially when the film focused on new guitar recordings; those demonstrated the right level of pop and heft. Speech was also a major aspect of the track. Dialogue came across just fine, as the comments always appeared natural and distinctive. The occasional effects were accurate and clear. The soundtrack offered an appropriately limited scope, and it merited a “B”. As we shift to the supplements, we open with an audio commentary from director Davis Guggenheim and producers Lesley Chilcott and Thomas Tull. All three sit together for this running, screen-specific look at the flick’s origins and how it came together, the film’s style and construction, working with the three guitarists and related logistical issues, editing, research and archival footage, musical selections, and a mix of other production concerns. Early on, the commentary tends to be rather screen-specific and it doesn’t provide a particularly broad overview of the subject matter. However, it improves as it progresses; we slowly start to learn more about the film’s background issues and the elements that needed to come together to make it work. Ultimately, this turns into a satisfying exploration of the project. 11 Deleted Scenes last a total of 26 minutes, six seconds. Happily, we get more of the “guitar summit” here, so the deleted scenes help balance out the feature film’s weaknesses. The three musicians jam on “Kashmir” and “Seven Nation Army”, discuss guitar string preferences, and fool around with a theremin. We find plenty more Edge elsewhere; he gives “Stairway to Heaven” ago and demonstrates the guitar parts to a few U2 songs. Virtually all of the cut sequences offer good footage, and many are really delightful. Next comes the Toronto Film Festival Press Conference. In this 38-minute, 26-second reel, we find a panel that includes Guggenheim, Tull, Chilcott, and musicians the Edge, Jimmy Page and Jack White. We hear about the project’s origins and development, how the musicians came onboard and the processes used to work with them, relationships among the three players, and some thoughts about guitars and rock. Some of the information found here already appears in the commentary, but we get quite a lot from the guitarists, so their perspectives make this a worthwhile piece. A few ads open the disc. We get clips for Blu-ray Disc, Soul Power and Michael Jackson: This Is It. These also appear under Previews along with promos for An Education, Persepolis, Every Little Step and By the People: The Election of Barack Obama. We get the trailer for Loud, too. It Might Be Loud doesn’t deliver on all its promises, mostly because it teases us with a guitar summit that it barely shows. Nonetheless, the film provides an enjoyable and intriguing take on notable guitarists of three different generations. The Blu-ray offers erratic visuals, fairly good audio and a few enjoyable supplements. Though this isn’t a killer Blu-ray, rock fans will need to give it a look.